Greater Rochester Arts and Cultural Trust | Developing, empowering and supporting our arts and cultural scene, throughout Rochester, MN and beyond. our arts and cultural scene. 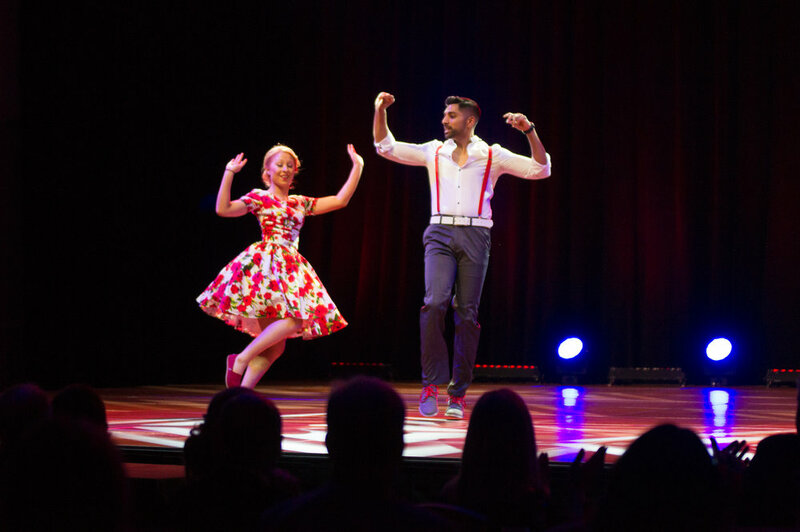 Dancing for the Arts Take VIII was a toe-tapping success! The votes have been counted, the trophies awarded by Mayor Kim Norton, and DFTA 2019 goes down in the history books as the most successful ever, and that’s saying something because it was pretty hard to top the wonderful celebrity and professional dancers from the past, many of whom returned to the scene of the crime and took a well-deserved recognition bow for their past efforts! And check out Major Media Sponsor ABC 6 News-KAAL TV’s promo for a little taste of what you missed. Here’s a peek at what you missed in 2019, and imagine how much better in person. Click here and here. Where did the money go? Click here for the list of 2018 grantees. Dancing for the Arts Grant Applications are on a rolling basis. To submit a grant for 2019, click here. Deadline is April 19th, 2019 at 12 noon. Dancing for the Arts Grant Criteria can be found here. We use rolling nominations so you can submit for 2019 starting now. Click on the green block to the right to get started. Lin-Manuel Miranda is a genius. If you don’t know who he is, then you’ve been living under a rock. He’s the Tony-winning creator of Hamilton. And if you don’t know what Hamilton is, that rock is on the moon. Why do I bring him up? Because there are many parallels in Hamilton to the arts community. Do College Students Value Arts and Humanities? The high school and college students of today are the workforce of tomorrow. They have a personal interest in the shape of the future, and they are directly affected by national conversations about educational value, access, and cost. The mission of the Trust is "to enrich the greater Rochester area by ensuring the continued celebration, promotion and advocacy of the arts and humanities". Programs/services include Dancing for the Arts (benefiting youth arts education), public art (Goose is Loose! and Life's a Bench! ), The Fete/Ardee Awards (celebrating excellence in the Arts) and connecting resources for arts-related matters. Inspiring a milieu where arts and culture flourish. Ten Rochester celebrities practiced their dancing skills by pairing with professional dancers in the Greater Rochester Arts & Cultural Trust's "FUN-raising" event Dancing for the Arts -Take VI, to benefit youth arts education and the programs/services of the Arts and Cultural Trust. The Trust is eligible to receive matching grants through the IBM Matching Grants Program. We want to thank all the current employees and retirees who not only donated to us, but completed the matching grant form. If you are a current or former IBM employee, and a donor to the Trust, please consider the matching program.